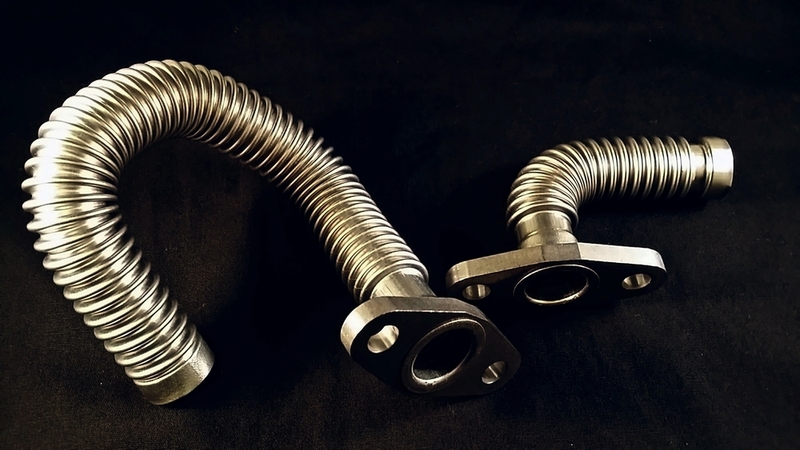 Convoluted turbo oil drain / feed tubing and EGR assemblies engineered to meet the requirements for temperature and pressure, vibration, corrosion resistance, and engine misalignment. Microflex manufacturing capabilities extend to providing egr assemblies that adhere to new stricter EPA emission standards. Microflex egr assemblies are engineered to meet the requirements for temperature and pressure, corrosion resistance, and engine misalignment. Microflex capabilities also include flexible tubing for use in static applications where installation compliance is important, such as fuel rails, turbocharger oil feed and drain lines. Annealed tubes may be bent per specifications.